In episode 1, you met Executive Chef Jean-Sébastien Casavant of Bistro La Gargouille. Episode 2 presents one of his culinary inspirations and gives a brief overview of his career and his life as a Chef. He has been passionate about fine dining for 11 years and studied French cuisine under Chef Georges Laurier. His culinary adventures led him through various flavors of the world. 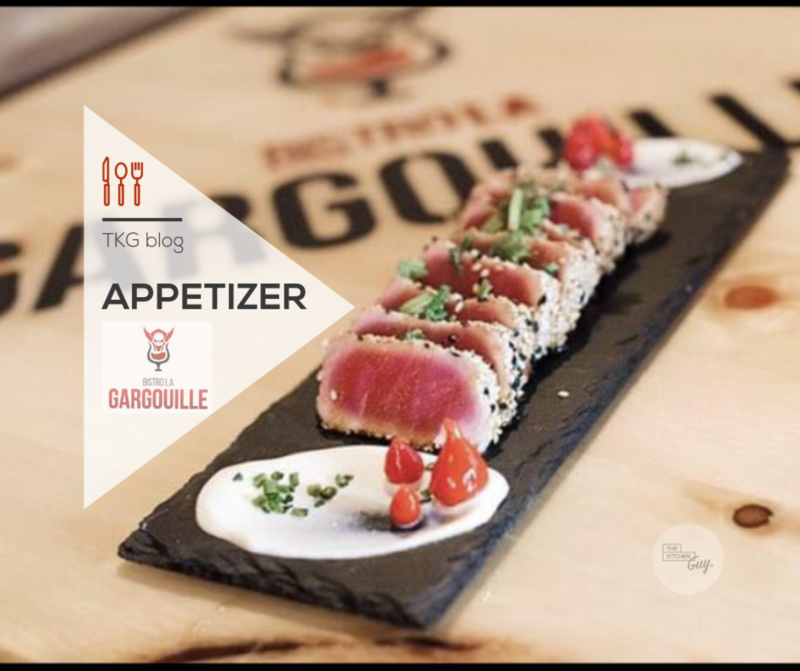 Passionate about the visual, he explores his creativity in his masterpieces at Bistro La Gargouille. During our interview with Jean-Sebastien, he prepared some of his gastronomic creations. In this episode, he explains the process behind his grilled cheese reinvented. © The Kitchen Guy®. All rights reserved.